The New Maruti Ciaz 2017 will be sold through the Nexa range of dealerships. This time Maruti will aim at capture a larger pie of the vehicle segment. The New Hyundai Verna 2017 will hit the market shortly. 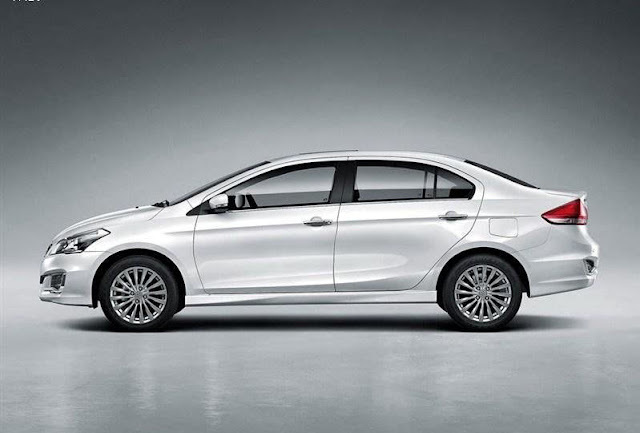 There will be some changes made to the Ciaz. The Maruti Suzuki Ciaz is the Indian car maker’s C-segment offering. After a couple of years after its launch, , a first for Maruti in the Indian car market. The Ciaz has been around for about three years and is due for a mid-life update. New petrol engine in the New Maruti Ciaz 2017 should have similar mileage. For city, we expect it to be about 12 km/l and about 15 km/l on the highway. The diesel should return close to 18 km/l and 24 km/l on the highway. This will the major change in the car. The New Maruti Ciaz 2017 is expected to come with a new 1.4-litre petrol engine. This mill shall boil about 90bhp of power and will come mated to a five-speed manual transmission and four-speed automatic is another option. The diesel engine shall continue to be the same one. This is the Fiat-sourced 1.3-litre mill that belts out 90bhp of power and 200Nm of maximum torque. This shall be coming with a five-speed manual transmission. Ofcourse, the SHVS technology will continue on the New Maruti Ciaz 2017 diesel engine. The New Maruti Ciaz 2017 will be competing with the new Honda City 2017, new Hyundai Verna 2017, Volkswagen Vento facelift, Skoda Rapid and the Fiat Linea 125S.